Millions of Britons have turned their backs on traditional package holidays and high street travel agents and now organise their breaks themselves, the results of a new survey suggest. Nearly one in three (30%) of those questioned suggested that they go online to book their flights, accommodation, car hire and family travel insurance separately. 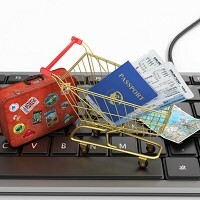 Although a further one in four (27%) are booking their holidays as a package, they are doing so online or by phone rather than on the high street. Only one in five, meanwhile, say they still use a high street travel agent to organise and book their holidays. According to the Ocean Finance study, two thirds of those opting to book their break themselves say they do so in order to save money, by capitalising on late deals and the information offered by price comparison sites. And when it comes to choosing which resort to visit or what hotel to stay in, more people are seeking out recommendations made by other holidaymakers on social media sites such as TripAdvisor, instead of relying on brochures or asking travel agents. But the do-it-yourself approach can be a time-consuming and stressful commitment, the survey's results suggest. Almost one in three say they spend a month or more planning the details of their next break, with another 40% spending up to a fortnight doing so. Nearly a quarter of the self-styled DIY travel agents, meanwhile, say doing all the legwork themselves leaves them stressed out and frustrated. Ocean Finance spokesman Gareth Shilton says the days of walking into a travel agent and picking a package holiday out of a brochure on the shelf seem to be over. He says the internet has given travellers the power to take control of researching and organising their holiday themselves. That, he says, enables them to view information and pictures from the destinations they are considering, before deciding on whether to go. But Mr Shilton admits that the stress and hard work involved with doing all the donkey work themselves is leaving some holidaymakers in need of a well-earned rest.